Don't be put off by its size. 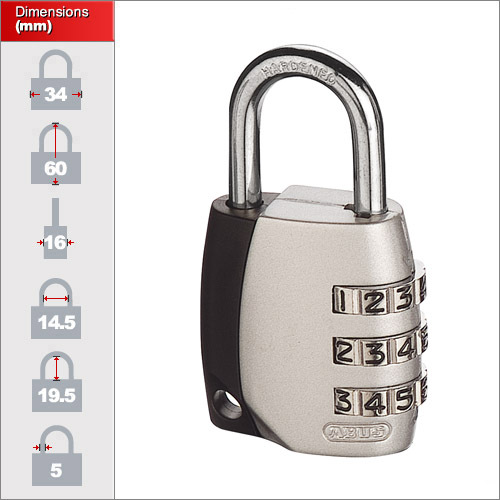 Our traveller combination padlocks offer a hardened shackle with strong die-cast metal body. Each has a small accessory loop in the body allowing you to fix it permanently to a locker or bag. The 20mm & 30mm options have a 3 digit combination whilst our 40mm has 4 digits. 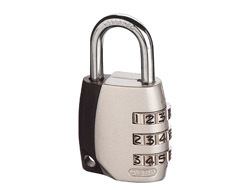 We have three sizes of traveller combination padlock making them ideal for a range of situations, 20mm, 30mm & 40mm. The 20mm version is ideal as a laptop bag padlock and for other small luggage whilst the 30mm and 40mm options are a higher security option for lockers and large bags. The 40mm size uses a 4 dial mechanism and affords the extra protection when left for a long time. 6. Close the padlock and scramble the code.